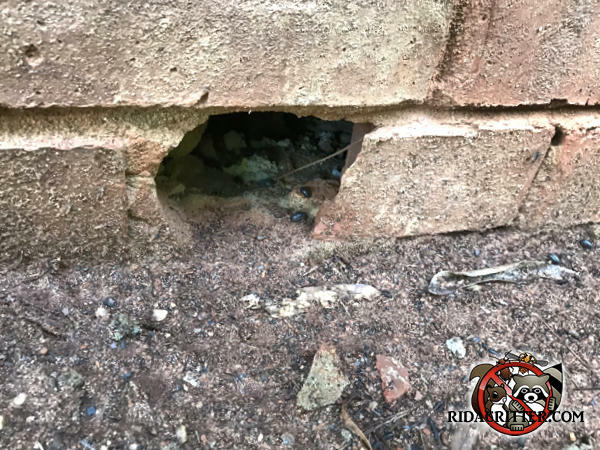 This hole didn't last long on the rat real estate market. It's perfect. In fact, it's the hole that rats dream about. Right at ground level, roomy enough for them to get through without gnawing, but too small for cats and other predators to follow. It's everything a rat could hope for.